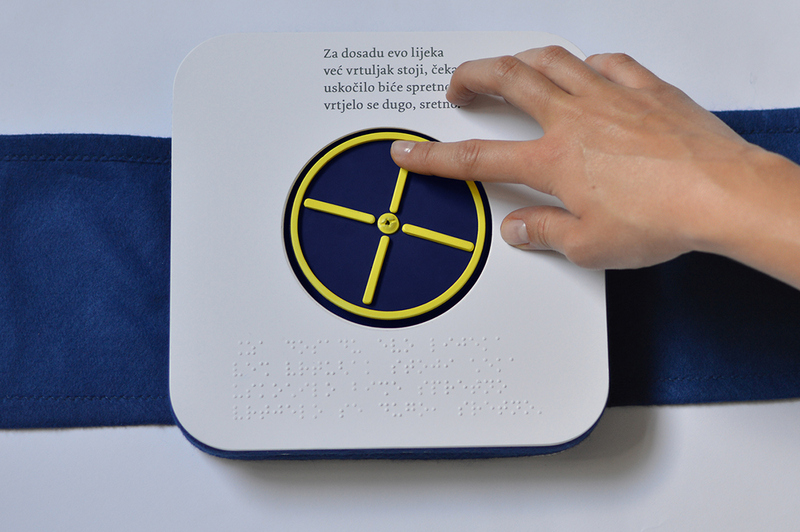 Tactile picture book for blind children Wondrous World [Čudesan svijet] is the MA graduation project on Visual communications that comprises research, idea, story-writing, design and hand-made production of the model. 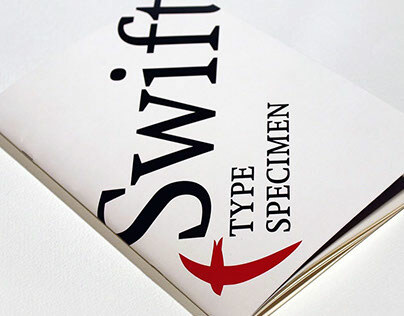 Inspired by an introduction of tactility into the book medium, the initial research of the subject began. 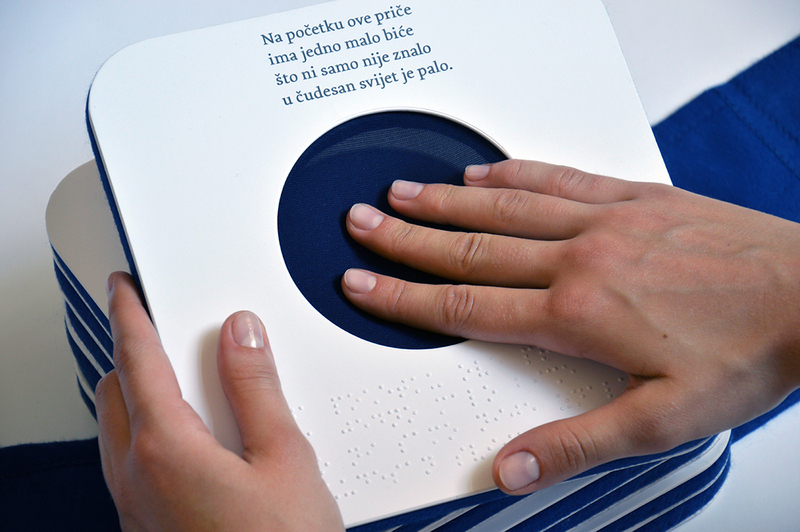 The main conclusion of this research is that most of the existing picture books for blind children do take into consideration the lack of vision, yet greatly ignore the lack of visual memory as key difference between born-blind children and others. Before mentioned oversight makes tactile pictures uninteresting or even completely incomprehensive for this target group. 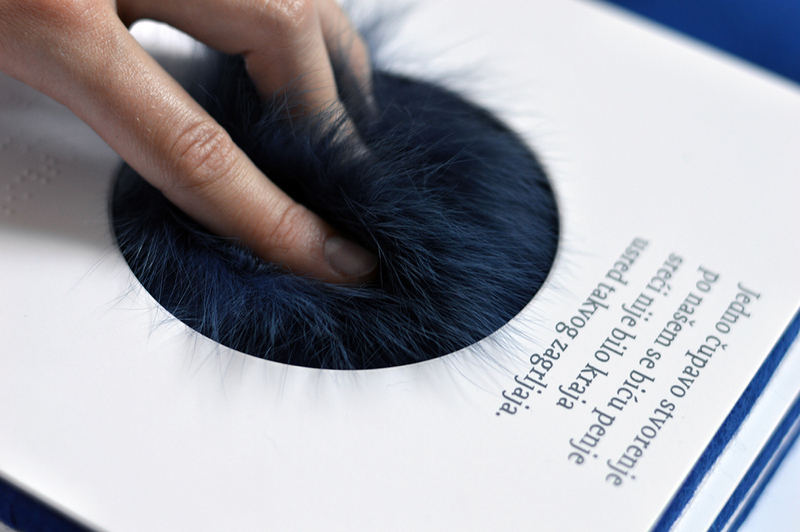 Therefore, the main idea of this tactile picture book was to choose and depict the motives in a way they do not rely on a visual memory, but rather on haptic interactions and their associations with the existing objects. A traditional form of a book was reconstructed. The pages gain on volume to provide enough physical space for interactions to happen. To avoid the heaviness of the final product, extremely light materials were used. 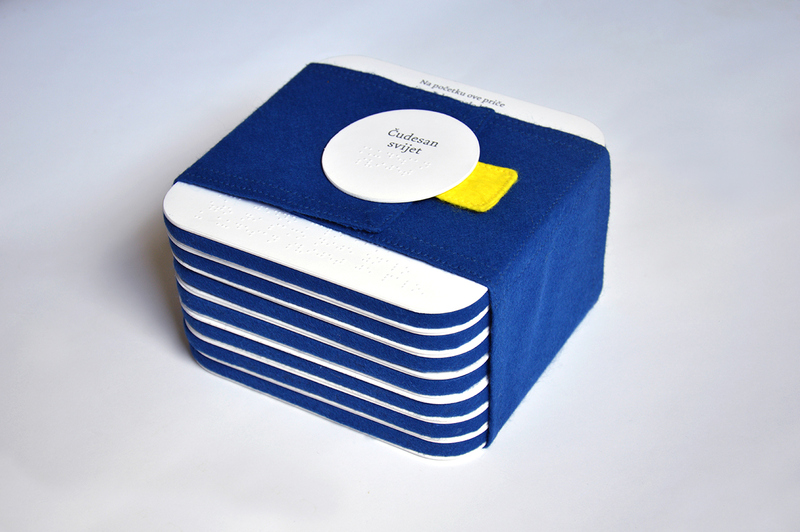 In order to provide more comfort to a user while reading, the book does not have any binding, instead, the pages are wrapped together in fabric. The tactile pictures, associated with the motives from the story through touch and movement, are placed into a circle. The round form preserves the same interpretation of a picture in various orientations of a finger-reading. 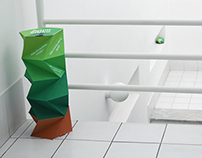 The pictures are also multi-sensor so, besides high-level of tactility, they provide movement and consequently the sound. 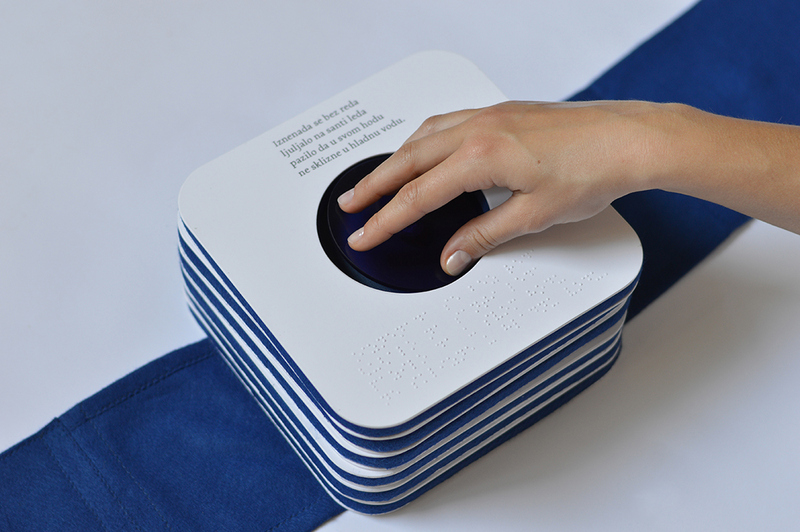 Although the primary focus group was born-blind children, the project is designed in an inclusive way. 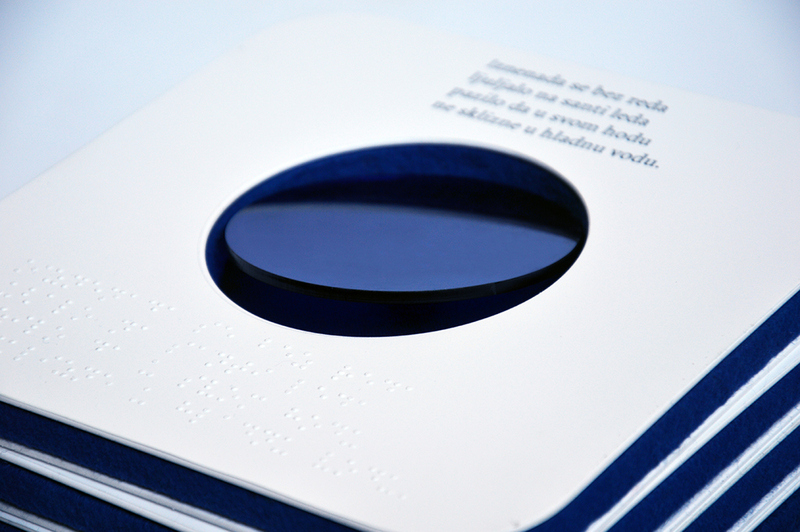 Therefore, the book can be used by low vision children as well as by children with no visual impairment. 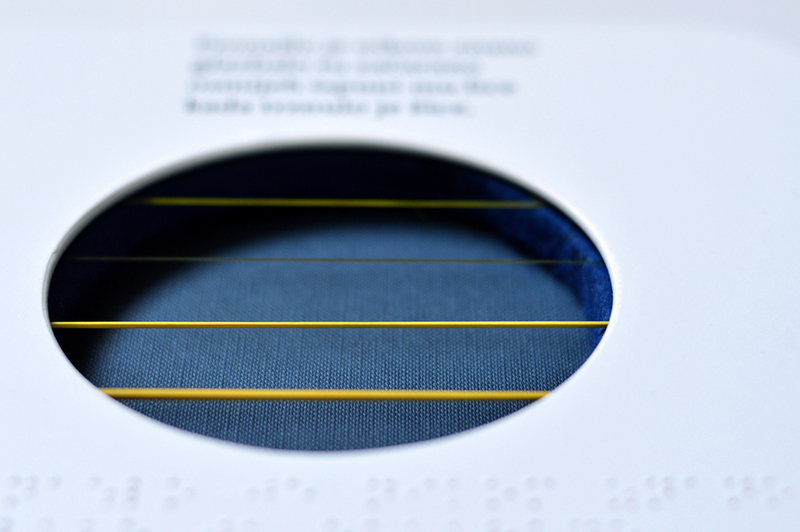 Besides Braille, enlarged text is also printed. 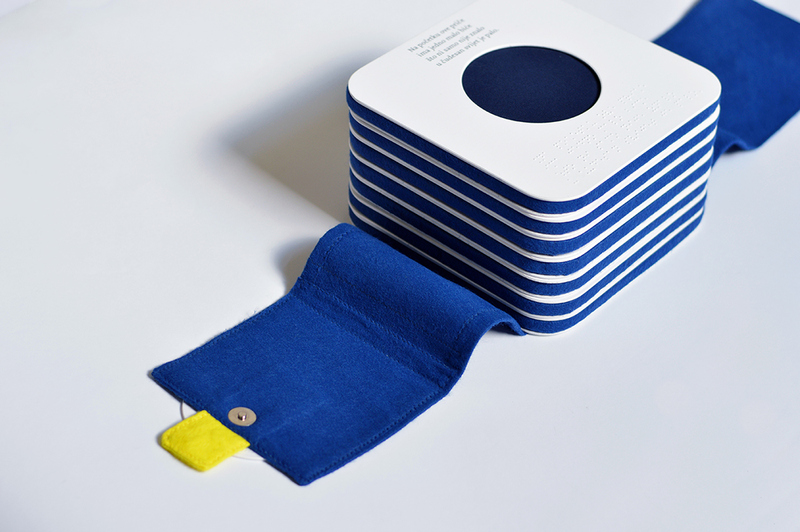 Color coding of the project (dark blue with yellow details) ensures high visual contrast for low vision children. The story is personally written in a form of a rimmed poem where one situation is depicted with one tactile picture. 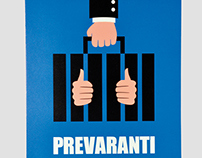 Relatively undefined characters and abstract representation of the motives are chosen to excite children's imagination. The story line is not strictly linear; thus, the separate pages can be replaced according to one's preferences. 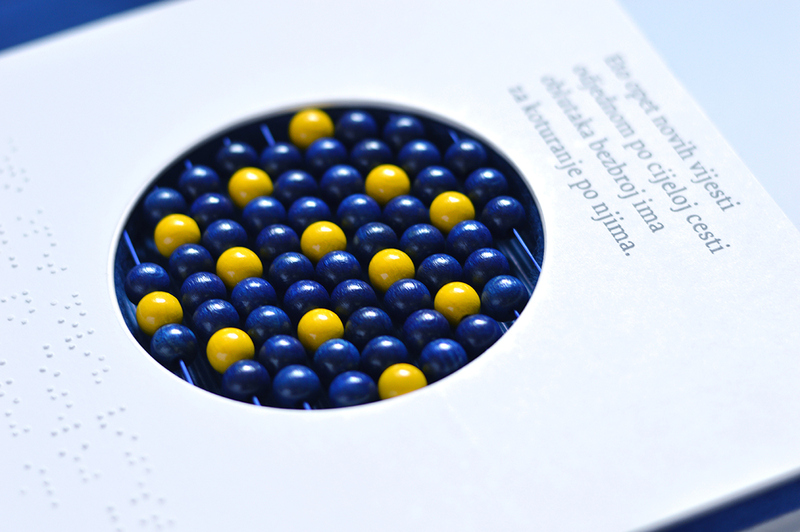 This final prototype was tested among blind and low vision children in Vinko Bek Center, Zagreb. I am happy to say that the children show great enthusiasm for the tactile pictures and enjoyed the reading process altogether.